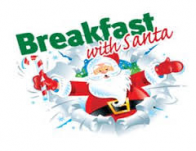 Have a delicious breakfast, visit with Santa, read stories, do crafts and have fun! . The cost is $3/person and 2 and under are free. Must register by calling 249-4409 by November 29th. Limited seating is available. We continue to collect brand new shoes for school age children and donating them to Middlesex Elementary for distribution to families in need. We appreciate all the donations that have been made! !